Lately we've been playing rock, paper, scissors a lot with our 5 year old and our 3 year old. We taught them how to play it in Chinese, which has been fun because they've been able to play it with their Chinese grandparents and other family in China. 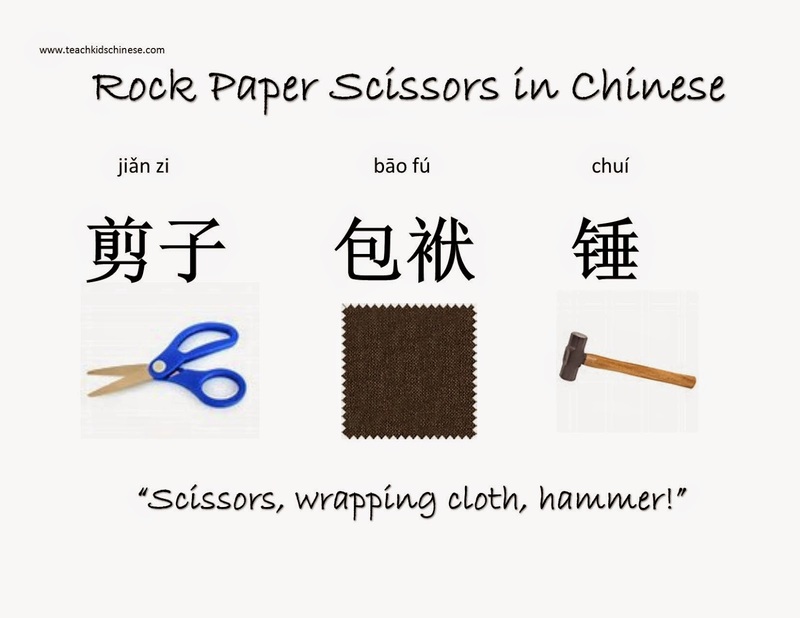 In Chinese, Rock Paper Scissors has the exact same hand signs, with the same rules. There are a few differences, however. 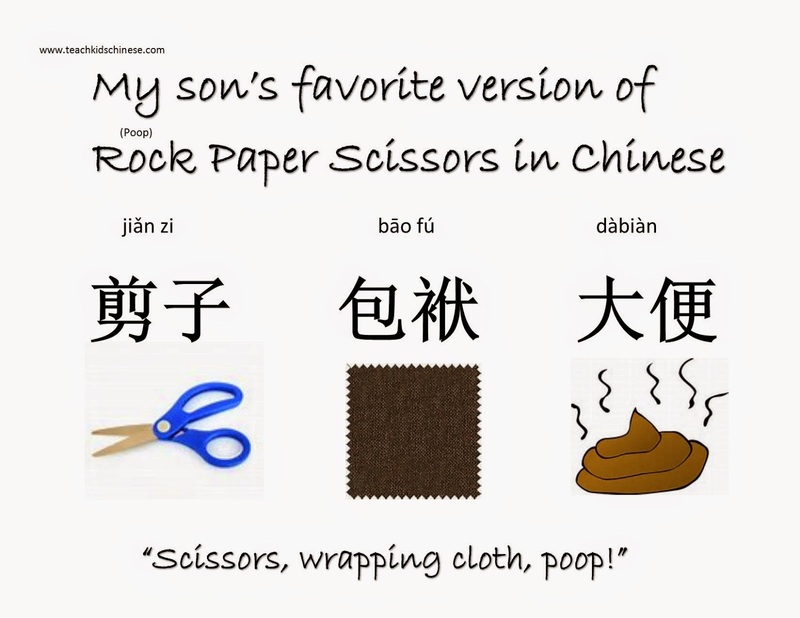 In Chinese, they actually say "Scissors, Wrapping cloth, Hammer" (剪子包袱锤 Jiǎnzi bāofú chuí).